What is included in being a supporter? Discounted tickets? Free tickets? What are the perks? Do you get special access to the Club? If yes how/what kind of access? While discounted tickets in the south end are a benefit to being a supporter we do not want that to be a reason why someone wants to join. 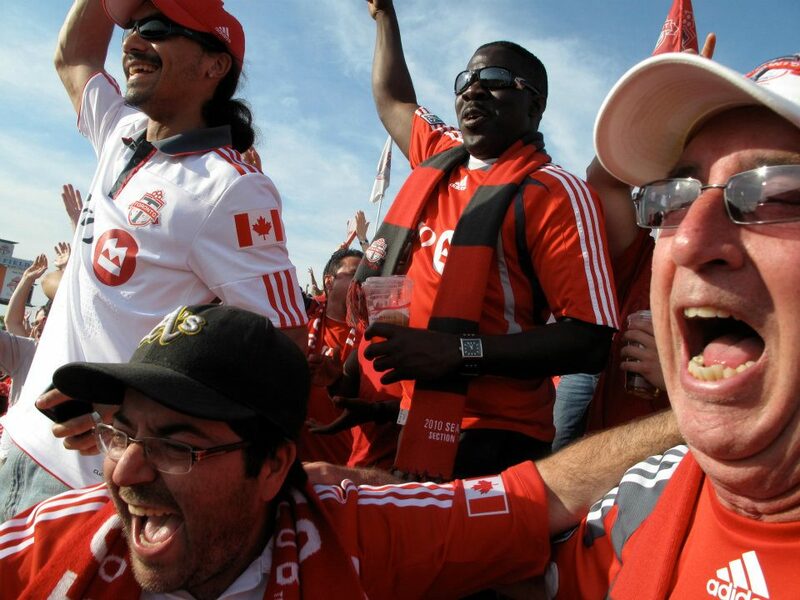 A supporter with season seats in O109’s section is ideally an active supporter who is like minded with the vision of supporting TFC through thick and thin. Being a member of our group has the added perk of being part of a family away from home. Can you join a supporter group and not have season seats? How do you participate in this case? A supporter or fan of TFC can be a member of our supporters group. Participation in supporter groups isn’t limited to in stadium – so if you aren’t a season seat holder don’t worry, there are many ways you can get involved; come on an away trip; attend an away viewing at any of our pubs; join a night of banner painting or participate in any number of supporter charitable events. It is not in our DNA to deny a passionate member or future member a chance to support his or her club. What is the difference between how the different groups support the team?